US President Donald Trump has disregarded Republican Senator Lindsey Graham’s advice that he should reopen the government for a limited period of time. 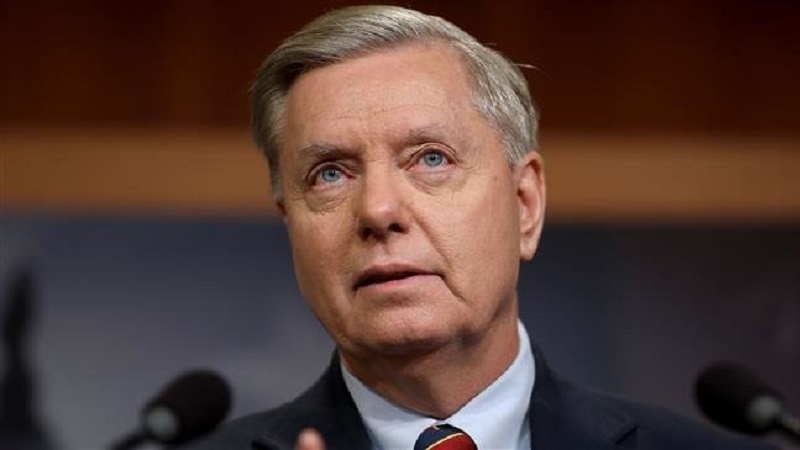 According to Press TV, Graham, Chairman of the Senate Judiciary Committee, offered the advice on Sunday in a bid to restart negotiations with Democrats amid doubts among the GOP over Trump’s possible emergency declaration. “Before he pulls the plug on the legislative option – and I think we are almost there – I would urge them to open up the government for a short period of time, like three weeks, before he pulls the plug, see if we can get a deal,” Graham said on Fox News Sunday. On Twitter, the president continued to blame Democrats for the shutdown, which has become the longest government closure in American history. Democratic lawmakers have rejected Trump’s request for some 5.7 billion of dollars to build a wall on the border with Mexico. They have conditioned any further negotiations on the reopening of the government. About 800,000 federal employees missed their first paycheck of 2019 due to the shutdown, forcing workers to scale back spending, cancel trips, apply for unemployment benefits and take out loans to pay bills. Trump has warned that he would declare a national emergency to get the money to build the wall. However, top US Republican lawmakers, Senator Ron Johnson and Representative Steve Scalise warned against an emergency declaration to end the standoff. The idea has also drawn strong criticism from Democrats, who see the move as constitutional overreach and a dangerous precedent.